When forced to tutor Sarah in trigonometry, Rhonda recognizes all too well the symptoms—queasiness, puking, exhaustion—that Sarah is trying to mask. On a sudden impulse, Rhonda shares her past with Sarah. Exchanging their secrets adds up to more truths than either girl would have dreamed. 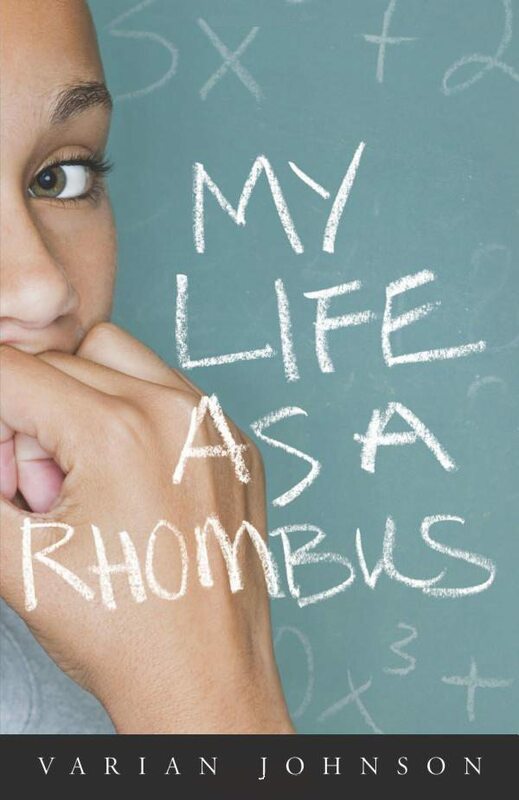 My Life as a Rhombus was inspired by a friend I met a few years ago. The young woman already had one child (an eight year old) and upon discovering that she was pregnant again, she eventually decided to have an abortion. My friend had a decent job, but she still struggled to make ends meet. More times than not, she had to depend on friends or parents when money got tight. So from her point of view, she had no choice but to terminate her pregnancy. Any other option would have been unfair to the daughter she already had. What really resonated with me was that when I offered to go to the clinic with her, she declined. She said that it wasn’t my place; it wasn’t my responsibility. She had gotten herself into this predicament and now it was up to her to get herself out of it. While Rhonda isn’t in the same situation as my friend, I was intrigued with just how much my friend wrestled with her options—and how she repeatedly reminded me that I wasn’t there to fix her problems, just to listen. I wondered what would have happened if she hadn’t had the abortion. I wondered what would have happened if she had been forced to make a decision that she wasn’t quite comfortable with. When I first began the novel, I had hoped that through the process of writing, I would sort out my own position on abortion. If anything, all I’ve realized is that it’s a hell of a lot easier to be pro-life or pro-choice when you aren’t the one that can get pregnant.